Tag Archive | "urban fantasy"
Once upon a time, they took you from your home. Changeling: the Lost Second Edition is available now! 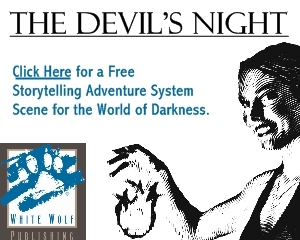 The latest addition the Chronicles of Darkness line of games from Onyx Path Publishing is here! Changeling: the Lost Second Edition has arrived in eBook and hardcover versions! – Everything you need to create and play your own changeling, a human abducted by the fae and transformed by the experience. – A complete setting of faerie wonder and macabre horror for the Chronicles of Darkness. – A guide to changeling society, caught between the twin poles of human hearts and the vast fantastic. – Supernatural powers, mystical oaths, and creatures out of legend. Changeling: The Lost Second Edition is now available in PDF and Hardcover editions at DriveThruRPG.com and StorytellersVault.com! Unknown Armies 3rd Edition from Atlas Games! Unknown Armies is an occult game about broken people conspiring to fix the world. It’s about humanity, and how those among us who are the most obsessed have the power to alter reality until it aligns with their fevered desires. It’s about getting what you want despite others trying to keep it from you. Unknown Armies presents magick as it might exist in a world co-created by Tim Powers and James Ellroy, as twisting wrinkles in reality created by greater and greater risk, sacrifice, and obsession. In Unknown Armies we ask, what would you risk to change the world? Your friends? Your family? Your health? Your sanity? Magick finds a way to ask the very most from you, until you achieve what you want or you are left with nothing. Mage: the Ascension 20th Anniversary Edition available now! 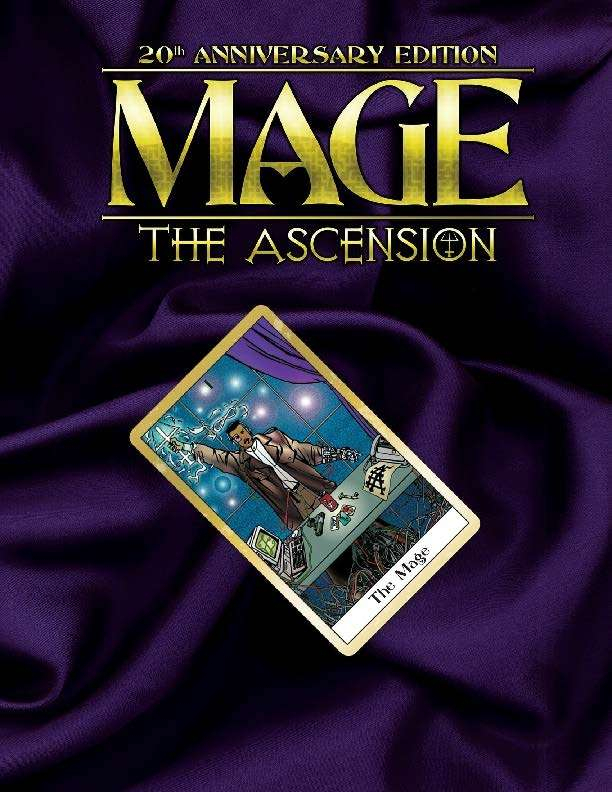 Mage: the Ascension 20th Anniversary Edition is available now in PDF and Hardcover editions at the Flames Rising RPGNow Shop! Three Parts Dead is an upcoming novel by Max Gladstone. Max is giving us a look into his writing process with this new essay. 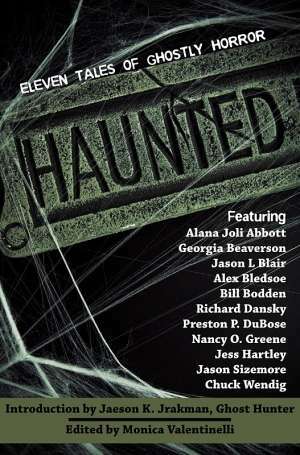 You can pre-order Three Parts Dead now at Amazon.com and other retailers. Don’t look up. Don’t send your prayers skyward. Because the gods aren’t in the sky. They’re here. All of them. After publishing Chuck Wendig’s debut novel Double Dead, in 2011 Abaddon Books is proud to announce that it is set to publish a brand new title from the inimitable author of Blackbirds. Gwen Frost is back at Mythos Academy, and she’s got a new attitude. In Touch of Frost (reviewed here), Gwen was a poor little Gypsy girl, stuck out of place at an academy full of warrior kids and wishing for her old life. While Gwen is still no warrior — and still wishes that her mother’s death had never happened — she’s got a new mission: get awesome, fast, so she can live up to the expectations of Nike, her patron goddess. At the end of the first book, Gwen was chosen to be Nike’s champion, and she has no intentions of failing. SHADOW FALL is the third book in the Shadowchasers series by Seressia Glass. You can read my review of SHADOW CHASE, the second book in the series, here at Flames Rising. An exhibit at an Egyptian museum and a dark mystery is the focal point for Kira Solomon and the other characters in SHADOW FALL. The events that happen in this book dive into Kira’s murky background and the reactions of all those around her — which aren’t always positive. Author and comic scribe Michael Jasper is here with a new design essay about his novel A Sudden Outbreak of Magic. Michael tells about the genesis of the idea back in his teaching days and how that initial concept developed into the book that is available now. He even links us to a sneak peek at the follow up book, A Wild Epidemic of Magic, which is currently in development. Magic is everywhere. You just have to look hard enough to see it. Magic is contagious. You can get infected it by it just as easily as catching a cold. Magic is dangerous. You start using it, and all sorts of powerful people will take notice. And they will hunt you down. Midnight at the Spanish Gardens is not the kind of book I normally review for Flames Rising. It is certainly a fantasy novel, but the fantasy elements don’t actually end up being all that important: the book revolves around the choices that people make in their lives, and what they might do differently if they had it to do all over again — or if fate or chance had played out the events differently. But while it’s not truly a dark fantasy, I wanted to review it here after reading an ARC from the author because this is the type of book that held me and didn’t let me go. I actually stood in a doorway the first night I was reading it, intending to walk somewhere to put it down, expecting to head off to bed for the night, but I flipped page after page in my nook and kept reading, standing there, for probably twenty minutes. Then, realizing I clearly wasn’t going to stop, I gave up my rational decision to head to bed and sat down and read more instead. Not only that, but even when I wasn’t reading the book, I was thinking about it. That experience tells me that this is a book worth sharing. If you follow Jim Hines’s blog, you know he’s been experimenting with electronically self-publishing short stories, many of which originally appeared in print publications. His first collection, Goblin Tales, did well enough that he’s releasing another group of six tales, Kitemaster and Other Stories, in mid-August. I caught Jim’s note for reviewers and volunteered, and I think this is another strong group of stories, mostly for the lighthearted fantasy crowd. Three of them I’d previously purchased via fictionwise, and have been favorites of mine since the first reading, but three were brand new to me, and I think all are solid stories — even the one that left me with something akin to the willies over a series of puppet deaths. But we’ll get there in a minute. Hot off the presses, Ghost Story is the 13th installment in the Dresden Files series by Jim Butcher. At this point in the series, I would like to point out that if you haven’t read Changes or some of the earlier books, then this review will likely contain ***spoilers***. Be kind to the reviewer, folks. First things first: due to the way characters are interwoven throughout the fabric of the plot, I would recommend that new readers do not pick up “this” book as the first one. While Butcher does a fine job of trying to facilitate the back story to remind readers who some of the existing characters are, the emotional gut-wrenching reaction that you may have as a reader will fizzle and pop like a dud firecracker. As the title suggests, this is a Ghost Story. August usually means back to school shopping for most Americans. But each year, thousands of children living in homeless shelters and foster care return to school without even the most basic of necessities. Operation Backpack, a program operated by Volunteers of America, helps provided these needed supplies to our country’s most vulnerable students and gives them a chance to continue their education. In an effort to support this wonderful project, Bards and Sages has partnered with other independent authors and publishers to create a special charity ebook bundle. 100% of our profits from this bundle will be donated to Volunteers of America to support Operation Backpack.? 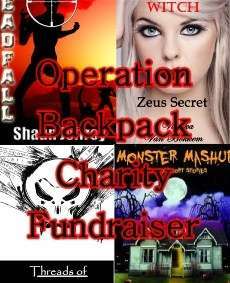 Operation Backpack August 2011 Fundraiser is available at DriveThruFantasy.com. Our design essay series continues with a new essay from Jennifer Estep. 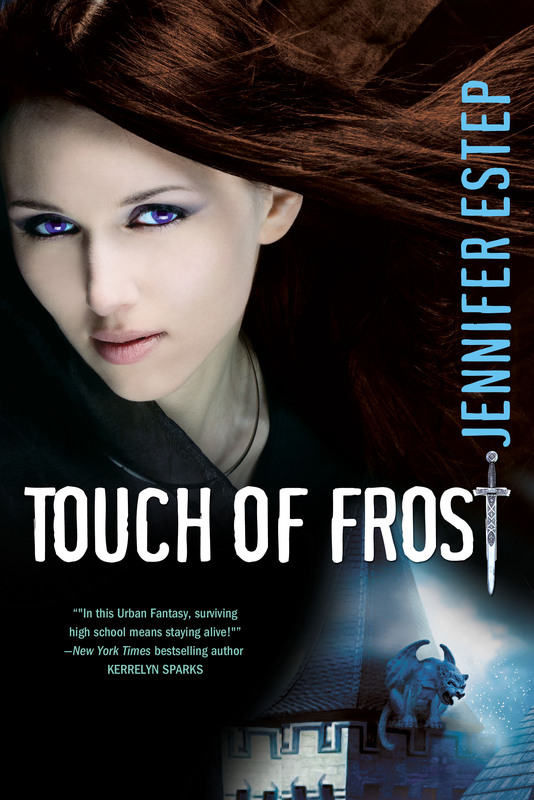 Jennifer is the author of the Mythos Academy series (check out Alana’s recent review of Touch of Frost). Greetings and salutations! First of all, I want to thank the folks at Flames Rising for having me on the blog today. Thanks so much, guys! Today I was asked to talk a little about the creative process behind Touch of Frost and the rest of my Mythos Academy young adult series. The series focuses on Gwen Frost, a 17-year-old Gypsy girl who has the gift of psychometry, or the ability to know an object’s history just by touching it. After a serious freak-out with her magic, Gwen is shipped off to Mythos Academy, a school for the descendants of ancient warriors like Spar tans, Valkyries, Amazons, and more. Shadow Chase is an urban fantasy novel written by Seressia Glass. While this book follows the events of Shadow Blade in the author’s series, I felt the story — which dives deep into Egyptian mythology — stands on its own. Glass writes believable characters that we can all relate to by focusing on their internal struggles. I really liked reading about the emotional impact of the “things gone wrong.” When someone dies? We feel it. When Kira, the main character, makes a mistake? We experience her guilt. By focusing on what makes these characters human, in spite of their supernatural powers, I feel the author takes some risks because we don’t always see the “cost” of magic in our world. However, these risks are what makes the story and its characters more believable, because those emotions help us identify with them — regardless of their ethnic or cultural background. Kira Solomon is a Shadowchaser. Although she’s human, she serves the Light and dispatches the Fallen. Although a lot of the worldbuilding was inspired by Egyptian mythology, the battle between good and evil takes center stage. Gwen Frost, a gypsy, doesn’t know where she fits in, and she doesn’t really want to. She came to Mythos Academy after the death of her mother — for which she blames herself — and doesn’t understand what she’s doing there. She’s no warrior, and her gift of psychometry, the ability to read emotions and history off of objects, mainly helps her find lost things. She doesn’t really believe in the Pantheon or the Reapers, and she’s got no interest in fighting those battles even if they are real. But then Queen Bee Jasmine gets brutally murdered in the library, where Gwen works, and everything changes. Unwilling to let Jasmine’s death go unmourned — when not even Jasmine’s friends seem to feel grief at her murder — Gwen is determined to discover the identity of Jasmine’s killer. And in the meantime, she ends up finding out a lot about what it is that brought her to Mythos Academy in the first place. It isn’t often that I pick up a book (this one purchased with my own cashy money) where it’s got so much going on, I’m not sure how to start a review. Stacia Kane’s Unholy Ghosts is like that. This isn’t just a ghost story — though it works admirably (and scarily) well in that area. It’s not just postapocalyptic, though again, the brave new (scary) world that Stacia imagines is an amazing one. And though it’s not really a private investigator story, it’s got a lot of similarities to that genre, as the main character goes about solving a mystery and, eventually, confronting a threat that could destroy the world as she knows it. So it’s got epic scope, but the characters aren’t your typical heroes — in fact, they’ve got more in common with your typical villains, and that’s one of the areas where Stacia really succeeds: making characters you don’t really want to trust, but can’t help but like. Or, at the very least, sympathize with. Kelly Meding, I have a bone to pick with you. After introducing a seriously awesome minor character in Three Days To Dead, you neglected to include even one scene with Smedge the Bridge Troll in the sequel. Sure, you gave us a seriously hot shape-shifting osprey who can go into angel mode with Phin. You introduced us to a sweet-yet-strong kestrel shifter, who alternates between protected and protector in Aurora. You brought in the mysterious shifter lawyer with a talent for vague clues with Michael Jenner. So, one could say that the new awesome outweighs the old awesome. But I miss Smedge. I just want that out there. Not long ago, I signed up for a very cool program with Simon & Schuster called “galley grab,” which allows participants to read e-book galleys in full for a limited amount of time. I’ve loaded up several titles on my nook and am trying to get through them before my time runs out! One of my first priorities on the list was A Brush of Darkness by Allison Pang, which I’d seen previews for over at Pocket After Dark. There are all sorts of marketing sayings about how many times you have to see something before it sticks, or if you touch something some large number of times, you’ll buy it.